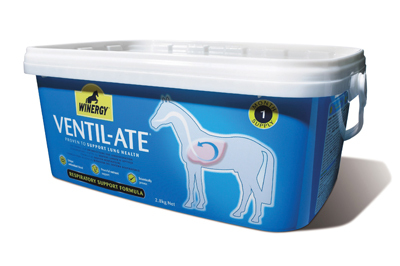 The UK's leading respiratory supplement, Winergy Ventil-Ate is a unique nutritional supplement in pellet form and is the result of extensive equine research. An exclusive, patented formulation that is clincally proven to reinforce lung health, Ventil-Ate boasts potent nutrition in a complex blend of Vitamin C & E with Selenium, all known for their powerful antioxidant properties. There are currently no questions for Mars Winergy Ventil-ate for Horses - be the first to ask one!